Can't attend local stamping classes? Join my online Class of the Month! As much as we'd like to, so many of us just can't make the commitment to a regular stamp night. We're lucky if we get any time for ourselves, let alone a regular night each month, right? I've developed a brand new, revolutionary online club that allows you to have the stamp class experience whenever and wherever it works for you--without committing to anything. Sound good? I choose a stamp set each month and design 4 beautiful cards with it. They range from easy to intermediate, with at least one fancy fold or technique every month. There are always 2-3 additional bonus designs, giving you even more ideas! 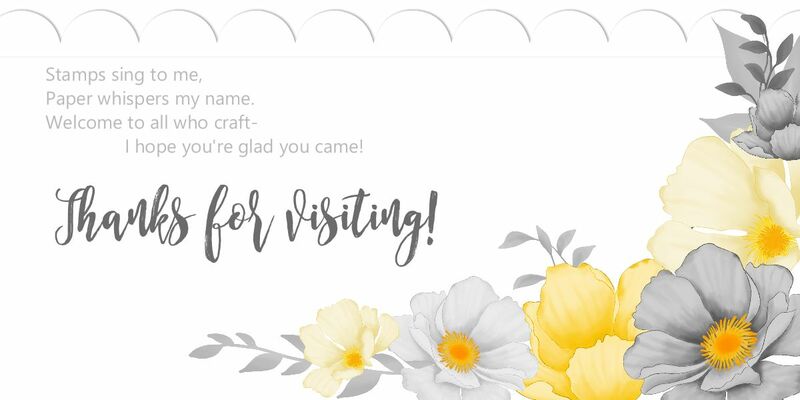 I create a downloadable PDF document with full-color photos, cutting measurements and step-by-step instructions, along with lots of tips for all the cards. Any necessary scoring templates and cutting guides are included. I "sneak peek" a couple of the projects on the blog and in my newsletter, so you can decide if you're going to participate for the month. No surprises! There's NEVER been a stamp club that allows you that kind of freedom before. Just place your order for the Suggested Order for that month (or the dollar equivalent, if you already own some of the items) on my Shop with Lyssa site, using the club code for the month. The club code will be published on the 1st, and your order with the code must be placed by the 25th of the month. You'll be able to see what's on sale for the month and adjust your personal order to get what YOU want to add to your tools and supplies. Your order will come straight to your doorstep--no waiting for a hostess to close, or trying to schedule pickup times. The total will vary slightly each month depending on the stamp set, but will always be about $30-35. Your club order will need to be at least that total or more for the month, before shipping and taxes. If you want to order $150 or more, you will also get hostess benefits! The ordering system won't allow you to use my code at that point, so just drop me an email and let me know you intended this to be your COTM order. The best of both worlds! I'm on a budget, too, so I know what it's like to want both supplies AND ideas--and have to choose between them. With COTM Club, there's no having to choose! Get BOTH every time you participate, as often as YOU are able to participate. The club PDF file gets e-mailed to you within 24-36 hours after your order. Just print it out and start creating! Your friends and family won't know what's gotten into you. The PDF will go to the email address you used when you ordered, so make sure it's accurate. I'm 100% confident you'll fall in love the full-color photos, measurements, step-by-step instructions, design hints and practical tips that you'll be receiving every month for COTM Club. You'll look forward to seeing what the featured set is each month, and planning your shopping list around the Suggested Order. Start a binder for the amazing files you'll be getting each month! You'll soon have an envious collection of tried-and-true inspiration right at your fingertips. Your skills will grow with each additional month as you play along. There's even tips for caring for and cleaning your stamps, as well as storage hints and mailing tricks! This is the FUN PART! Every time you participate in Class of the Month Club, you get a point. When you get five points, you get a $30 shopping spree--and I'll pay the shipping! Play along as your budget allows, and whenever you've been able to take part five times, reward yourself with something fun and FREE--on me! Every participant also gets their own main catalog and the upcoming 2017 Holiday Catalog, as well as a Free Product Sample of the Month inside a handmade thank-you card in the mail. The surprise sample could be ribbon... embellishments... papers... you never know! You will really enjoy getting these large, useable samples. Try the freebie out--and if you like it, put it on your club order next month! I can't wait for you to become a Class of the Month Club Member... so I can SPOIL you rotten! I appreciate my customer friends and love showering you with goodies and extras. Hope to see YOUR name pop up on the "class roster" next month for our fun new online club. Hi Jean! I only cut apart the stamped image, not the stamp. I will most likely be using the stamp "as is" 99% of the time, but YES you can cut and trim any kind of stamp, photopolymer included. You'd just need to find a different way to handle a wood-mounted set.